Tigers are rapidly disappearing in nature because of poaching and habitat destruction, according to Dr. Brett Wright, dean of Clemson University’s College of Behavioral, Social and Health Sciences. 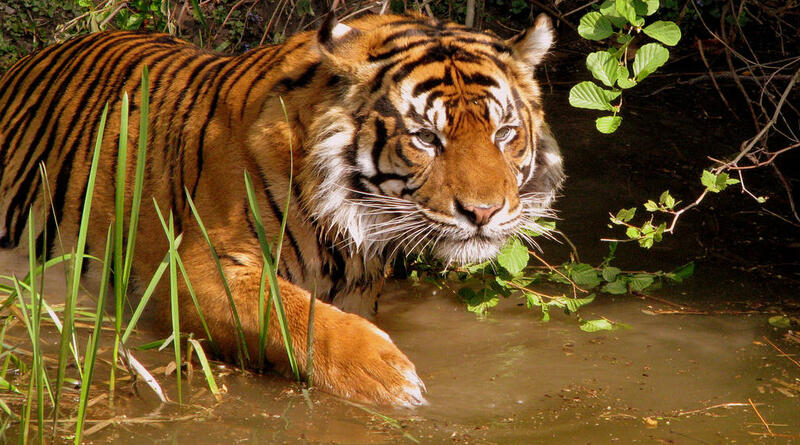 In 2010 there were an estimated 3200 tigers still roaming India and other Asian countries. This alarming figure caused Clemson to contact the other major "tiger mascot" universities – Auburn, LSU and Missouri – and form the U.S. Tiger University Consortium to help increase the number of tigers in the wild. Much of the poaching is done because locals can make more than a year's income by killing one tiger, for body parts and trophies. Clemson conservation biologist Rob Baldwin said the key to changing this behavior is education and giving the locals a reason to change their attitudes and value the tigers. Eco-tourism is one way to do it, providing them with a living and a reason to preserve the animals, Baldwin said. Another action the group is taking is bringing in students from India to each of the universities to complete advanced degrees in conservation so they can return to Asia with the tools to help with conservation on the local level.